Found within this section is links to my worksite projects from 3rd and 4th year placements off campus. Also included will be a select few assignments that I am proud of and want to share with you. With these assignments will be my brief reflections on the work. During my third year of schooling we are required to participate in an on campus personal training placement. This gives students the opportunity to practice the skills they have learned in class through personal training and also assessments. We perform initial and final assessments following all the standard procedures as well as provide our client with 8 weeks of personal training sessions. This opportunity was an excellent chance to see if personal training was the ideal field for you. 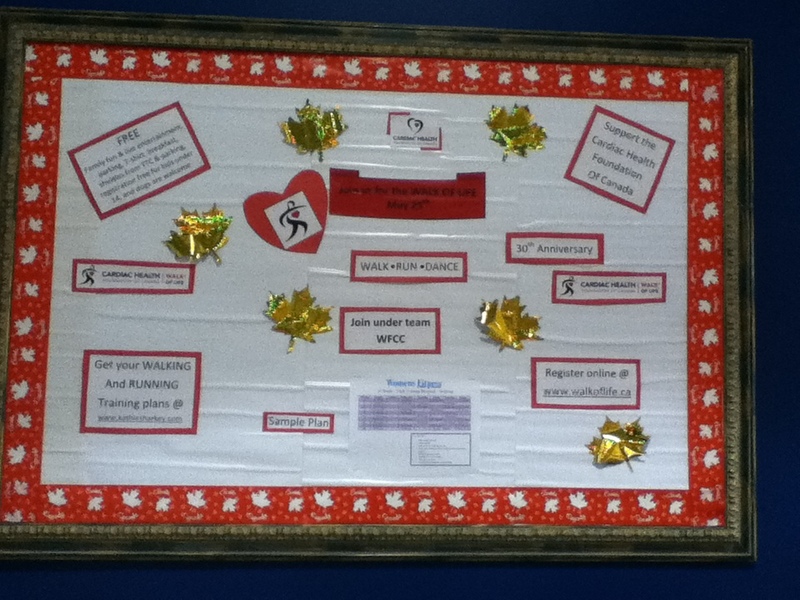 The bulletin board project was also part of my 3rd year work site project as it helped promote The Walk of Life through a visual representation of the event. These walking and running plans were designed by myself with the help of my placement supervisor in my third year placement to promote The Walk of Life to members of the club. My career map assignment outlines a few different career paths of interest to me. I have also included my final elective course term paper in my projects. I took this course over the past summer (2014) because I had a strong interest in the psychology field and it was only offered in the summer with a professor from Pennsylvania. The main intrigue of this course was based on the title...Psychology of Science and Faith, do those even go together?! Through the course we discussed this very topic in history and also in present times. It brought up great discussions among the class and I found it interesting to hear other people's opinions on the topic. The final paper was to be written based on a current or past scientist and their contributions to science and also if their faith had every influenced their discoveries and opinions. I chose to write my paper on David Suzuki. He seemed like a very relatable scientist and person of faith for myself. There was not any explicit information on his religion but based on his background I worked around the assumption that he was Japanese Buddhist, as am I. I don't consider myself of the 'practicing' faith but it is the religion I know most. Through this paper I discuss and contrast my opinions on faith and science as it relates to Suzuki. Exhibited in the slide show beside is pictures of my first lesson plan from this years placement. On it there are my plans as well as my supervisors notes. When her and I went though my lesson after teaching she critiqued it. Many of the changes and notes were due to the fact that I am not taking a BEd program where I would have learned how to build a properly structured lesson plan with all the teaching objectives and success criteria required. We talked about how these pieces are important to include in order for another teacher to replicate the lesson plan in your absence. It was nice to get her input and feedback about how my lesson plan looked and flowed for someone not in an education program...yet. To the right you will find two of my mot recent group projects. 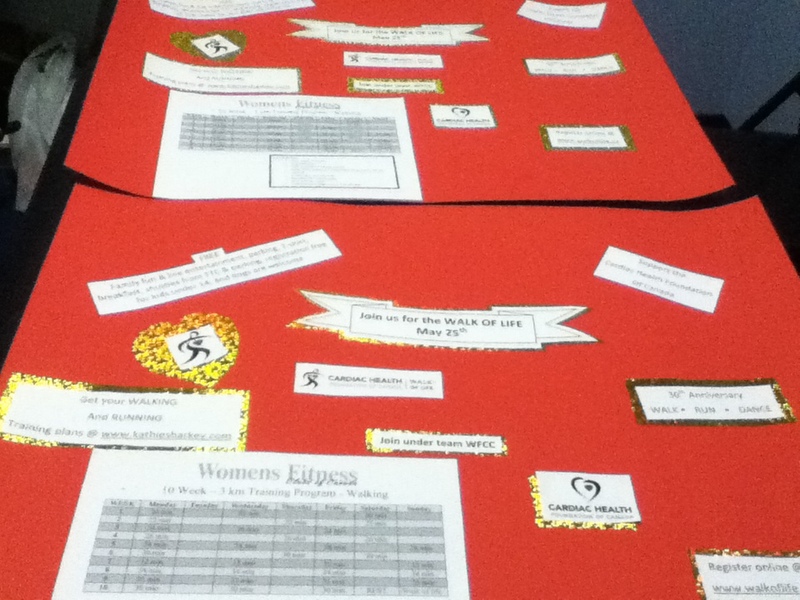 The first is from my fourth year Natural Health Products and Physical Activity class. Our group presented on the effects, whether negative or positive, of CLA (conjugated linoleic acid) specifically to metabolic syndrome. The second assignment is from my fourth year Human Development and Aging class. This group paper required research and insight into a specific topic, the effect of exercise I the elderly population and the prevention of falls. Along with this group paper will be a group applied project and showcase to the public health sector in the region of Guelph.